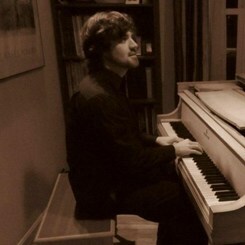 John is a graduate of the University of Maryland, College Park, with a degree in jazz piano performance. His first endeavor in music was at age 9 when he started taking piano lessons. After his initial exposure to music, he began teaching himself a variety of instruments including the guitar, bass guitar, and drums. He has recorded four solo albums to date, the latest of which was released in November 2014. He is currently in a group called Sonic Circus with fellow Music and Arts instructor Jeremy Milliner, and the group has performed a number of times at the University of Maryland Riggs Alumni center and the university's co-op. John's passion for teaching began while studying at the University of Maryland while observing his own instructor, and upon graduating, has made it his priority to spread the love of music to as many people as he can reach. He is a firm believer that music is a privilege, not a task. To enhance the experience of his students, he makes an effort to tailor his lessons to their interests and needs. Some notable performances include singing in the National Philharmonic's performance of Hector Berlioz's Requiem in November 2010 at Strathmore Performing Arts Center with the Montgomery College Chamber Singers, and performed as the principal pianist for the University of Maryland's jazz band from Fall 2011 until Spring 2013 at the Clarice Smith Performing Arts Center. John is also an on-call musician for the Motion Picture Association of America as a pianist and accompanist.